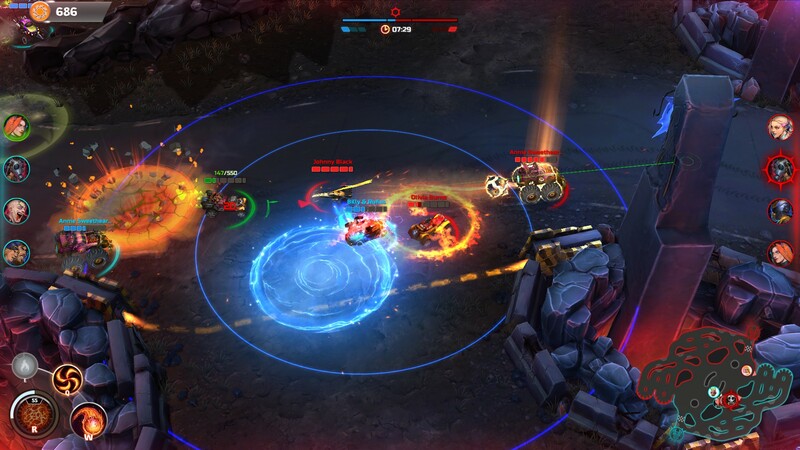 Win a pack of in-game goodies for Heavy Metal Machines! It is the end of the world. The apocalypse has hit and destroyed life as we know it. Only brutal machine death matches remain… so jump in and play with your friends! Heavy Metal Machines is a fast-paced, action-packed car battler in which teams of four players control drivers packing specialised weapons, outlandish accessories, and unique abilities. Choose your character, customise your car, team up and create chaos and carnage like an otter in a bakery. Heavy Metal Machines is free to play, so you can dive right in, and we’ve got 3000 in-game packs of goodies to help kickstart your vehicular reign of terror. For a chance to get your hands on one just enter via our widget below. There are five ways to enter, and each action is worth one entry, so the more you do, the higher your chance of winning! We’ll also need your email address to send your code if you’re one of the lucky ones – we promise there’ll be no spam! If you win you’ll be sent a code to redeem in the game on Steam for in-game goods. If you want to be the first to know about all our upcoming giveaways then like our Facebook page, or give our Twitter a follow, and you can be sure you won’t miss out!